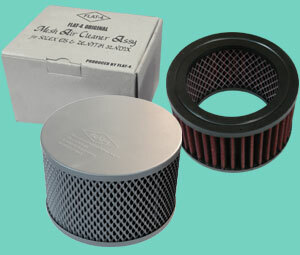 FLAT4 original mesh air cleaner kit is design to give you a instant look of much thought after of KNECHT air cleaner. FLAT4 original mesh air clear kit is direct replacement for today's popular solex 40/44EIS series carburetor air cleaner. You simply replace top and base plate and slide your K&N style air element inside mesh plate. Now you can have the performance and look of Vintage performance. for EMPI SOLEX 40/44 EIS Ea. 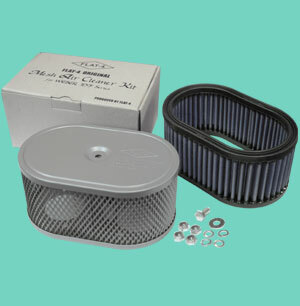 FLAT4 original mesh air clear kit is direct replacement for today's popular Weber IDF series carburetor air cleaner. You simply replace top and base plate and slide your K&N air element inside mesh plate. Now you can have the performance of Weber and look of Vintage performance. for WEBER IDF SERIES Ea.